The right SUV for you to have the drive you’re looking for when you want a variety of trim levels to choose from and the features that will put you behind the wheel of a vehicle that has more is the Jeep Grand Cherokee. You know this SUV well and you want it to be the one you drive on the roads and the trails around Davie to ensure you can have the performance and comfort that make a lot of sense to you when you’re ready to head out for a drive. Rugged looks, refined character, five seats, and a great deal of cargo space are all typical features you’ll find in the Jeep Grand Cherokee. This impressive SUV is the one that brings you the off-road prowess you’re going to love while making sure you can have the comfort and luxury you need for a daily drive. 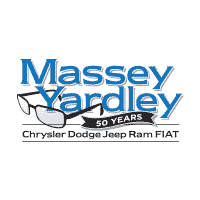 If you want to drive the Grand Cherokee on the streets in Davie you need to see the team at Massey Yardley Jeep Chrysler Dodge Ram in Plantation, FL and take a look at what this impressive SUV has for you. As we enter the new 2018 model year the version of the Jeep Grand Cherokee that’s making the headlines is the Trackhawk model. This version makes use of the 707-horsepower Hellcat engine we’ve seen under the hood of the Dodge Charger and Challenger models. There are also improvements for the infotainment system to bring in Apple CarPlay and Android Auto integration while giving you a new Sterling Edition to celebrate the 25th Anniversary of the Grand Cherokee. Take a look at what this SUV has to offer and begin the drive that’s right for you in Davie today. Another part of what the new model year brings for you is the smooth ride and adjustability of the Quadra-Lift Air Suspension system. This is a system for the Jeep Grand Cherokee that you’ll love to enjoy on the roads in Davie when you see that this system can allow you to adjust the SUV to have as much as 10.6 inches of ground clearance at its highest level. At the lowest setting, you’re going to have better aerodynamics and improved entry and exit angles to make use of this impressive air suspension system that gives you the ability to adjust the ride as needed. This flagship model is one that will provide you one of the most impressive rides you’ve ever had. Check out the Jeep Grand Cherokee models offered at Massey Yardley Jeep Chrysler Dodge Ram in Plantation, FL and make this the right choice for you in the Davie area. Come in and see this team today and let them assist you in choose the vehicle you want so that you can head out on the roads and trails around you for the driving experience you’ve been after in an SUV that has a commanding presence on and off the road.